Pizza is simple: cheese, sauce, bread. But pizza history is an endlessly complicated saga of feuding families, mob ties, and brutal behind-the-scenes deals. New wrinkles in the Great American Pizza Story aren’t uncommon, but it nevertheless shook the pizza world to its core when, last week, a Chicago researcher named Peter Regas detailed new evidence that he says fundamentally changes the story of how pizza first arrived in New York — which is to say of how pizza first arrived in America. Regas believes that Milone emigrated from Italy in 1892, and opened a grocery store at 53 ½ Spring Street around five years later. He believes it may have been a pizzeria as early as 1898. “What is very intriguing about some of his information that we have, and it’s tantalizing,” Regas says, “is that he probably was a pizza maker in Naples before he came here.” Regas knows for certain that, in 1901, the shop was owned by someone named Giovanni Santillo, and Regas believes Milone was something of a mercenary pizza evangelist, who would spread the gospel of pizza through one business before moving on and opening another. “I think of him as the sort of original pizza consultant,” Regas explains. This research may rewrite pizza history, and Regas intends to publish a book on it. According to his naturalization papers, Lombardi arrived in New York in 1904. Pizza, Regas says, was definitely being served at the Spring Street shop in 1905: He found an Italian newspaper ad for a business called Antica Pizzeria Napoletana at that address. The specialty, according to the ad, was “pizze imbottite,” or stuffed pizza. Santillo was out by 1908. It’s the same year that Regas is “highly confident” this famous photo of Lombardi was taken. At this point, it appears the Spring Street shop was passed around as frequently as a bottle of grappa: Starting in 1908 or 1909, it was run by another man, named Francesco D’Errico, who is named as the owner in New York’s 1910 business directory. “All I could find was this D’Errico and I thought, I’ve got to find out who he is,” Regas says. By 1917 or 1918, D’Errico sold the pizzeria back to Lombardi, who apparently then decided he was tired of playing musical pizza chairs and stayed put. Meanwhile, according to Regas, Milone was opening other pizzerias in New York around this same time, and that’s what makes him such a crucial figure. The store that eventually became Lombardi’s may have been Milone’s first pizza business, but he was the person who worked the hardest to expand pizza’s reach. Regas contends that, in 1915, Milone opened Pizzeria Port Alba, which was eventually taken over by John Sasso (a relative of Milone’s by marriage) and rechristened as John’s. 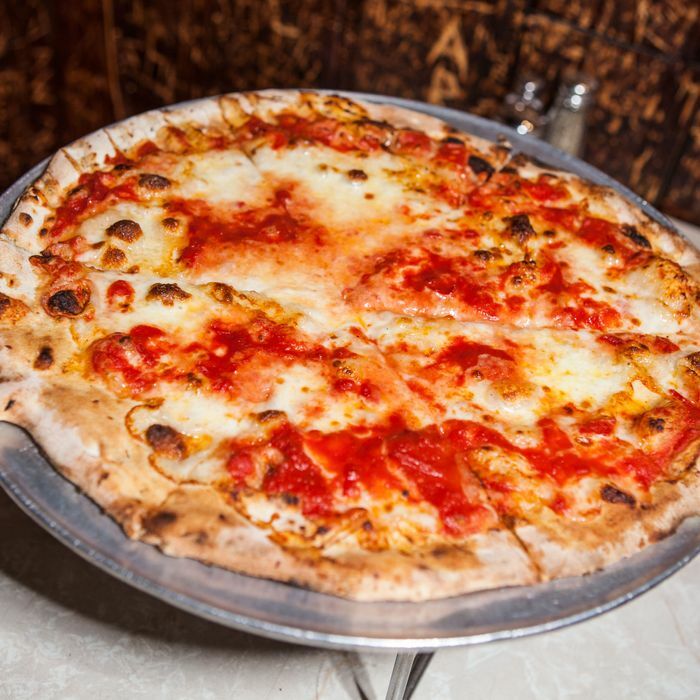 Milone also opened a since-shuttered Red Hook establishment named Pop’s, as well as three other pizzerias. On February 23, Regas will present his research at Chicago’s U.S. Pizza Museum. Regas says he found records of an Italian baker as far back as 1879. It’s also possible that people sold fried pizza, a Naples specialty, on the streets even earlier, as unlicensed — and therefore unrecorded — vendors. 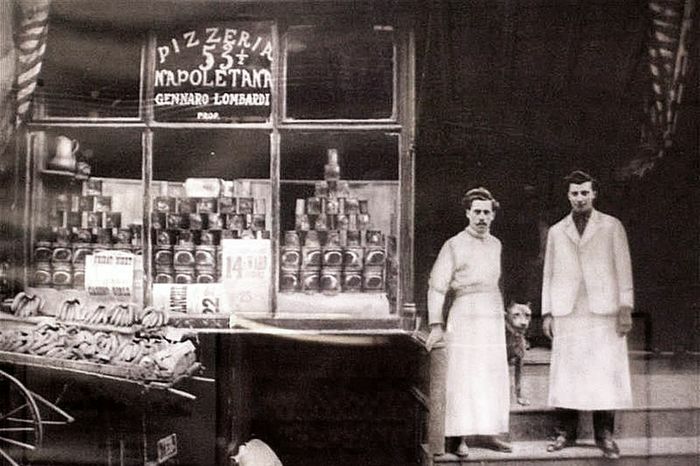 Also featured in the photo: Anthony “Totonno” Pero, who would go on to open Totonno’s in 1924. Pero’s family says he should get credit for bringing pizza to America, arguing that he was the one who made the pizza and convinced Lombardi to sell it. Regas argues there’s a remnant of this legacy at John’s, where a neon sign in the window includes the words Pizzeria Port’Alba.